When it comes to learning languages, children tend to have a much easier time than adults. This is the concept that is built into the Rosetta Stone language system. Now, you can experience a Rosetta Stone review yourself with an innovative online demo. The concept of Rosetta Stone is build around the idea of our small children first learn language. The makers of Rosetta Stone believe that the human brain is wired to learn language in this way, at every age. The learning system uses the concept of visual observation and interaction. The system presents you with real-life situations and then provides both a written and verbal explanation of that situation. 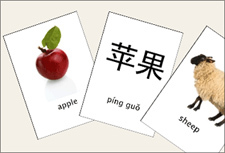 By using visual clues connected to the written and spoken language, you can discern the meaning of the words. The experience of using the Rosetta Stone software is very strange, because it forces you to use a part of your brain that you may not be accustomed to using. You have to spend the effort to carefully read and listen to words and then search the images for clues as to what those words mean. While you to this, you'll be exercising the "language center" of your brain, and before you know it you'll start understanding entire sentences and phrases in an entirely new language. Regardless of which language you choose, the process typically starts the same. The first steps involve just learning some of the basic words. These words usually identify a person or thing that will be used in subsequent lessons. From one stage to the next, each word or phrase that you learn evolves into a longer and more complex sentence. For example, in stage two of learning English, you will learn to use verbs in conjunction with nouns in very simple sentences. You'll notice as you go through this Rosetta Stone review that you are not only learning individual words. You're learning sentences that have meaning, and apply directly to each picture. Your task is to understand the pictures that have statements, and then use that understanding to match other statements with additional pictures. Each stage of the learning process gets a little more complicated. Not only do you learn words for man and woman, but you'll also learn the words for boy and girl. Once you make it through the first few stages, you'll be using these words together with a few actions that you've learned in the earlier stages. Once you progress beyond a certain point, you'll be tasked with listening to spoken words, and then connecting the statement with one of several pictures. In this lesson, no words are used. This is how Rosetta Stone enhances your understanding of the spoken word, not just language in writing. Once you progress through the stages, you'll start to learn the words for different objects as well. This is usually through simple repetition, but these concepts will also be reinforced as you move up into the next few stages afterward. Once you have a few additional words under your belt, the next few stages of the lesson will build upon the ideas and concepts you've already learned - such as man or woman, and the different actions you've learned - and it combines those earlier ideas with the new words you've just learned. As always, you'll see images that reflect the concept as well. Before long, you'll be accurately matching up more complex sentences with the associated images. By connecting your language learning with pictures during every step of the process, you are learning language just like small children do - through observation and visual clues, not simply through memorization. This is the "secret" of the Rosetta Stone learning system. In the later stages of each lesson, you'll be presented with real-world situations, such as ordering something at a restaurant. It will be up to you to select the correct statement - both written words and spoken words - that match up with the situation in the picture. At this point, you may very well surprise yourself how well you understand the appropriate words for each situation, even after only using the system for less than thirty minutes. After each lesson, you'll receive some feedback in the form of an overall score, as well as a tally of your correct and incorrect responses. Use this feedback to determine if you need to retake some lessons in order to better understand the words and the ideas included in them. Before long, you'll be taking Rosetta Stone classes for every language under the sun. Rosetta Stone makes learning language interesting, fast and very fun. It's exciting to understand complete sentences in another language, in such a short period of time. So, give a few of the Rosetta Stone review demos a try and decide which language you'd like to learn. Once you purchase the system, make sure to use it a little bit every day. Before long, you'll have mastered that new language that you've always wanted to learn.